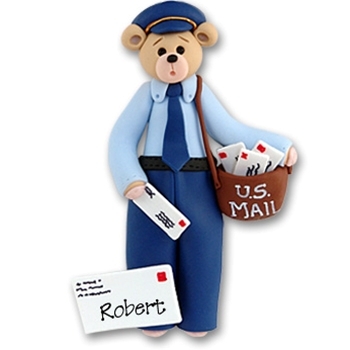 Our Belly Bear Mailman is the perfect gift for your mail carrier! May be easily personalized but looks great without! Comes complete with hook and satin ribbon for hanging. Handmade from polymer clay and designed by Debi Allison.